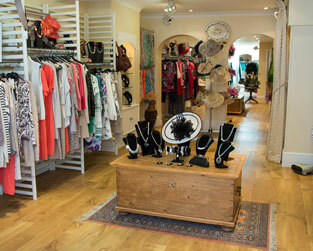 Plumage Boutique was established 24 years ago by Barbara, who had always had a keen interest in fashion. 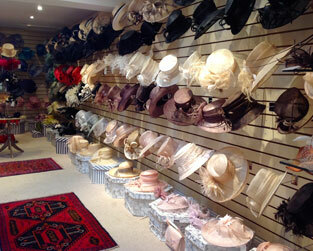 In 1991 Barbara was able to make fashion her career by setting up Plumage Boutique which she has since expanded and developed into the successful fashion and hat hire business which it has become today. Opening the boutique gave Barbara an outlet for her passion for clothes, fashion and most importantly people, and she has never lost that passion. She has customers from far and wide who travel for the personal shopping experience they receive. Customers return again and again and always recommend Barbara’s boutique to family and friends, and she is well known for the personal touch and one to one service that she gives all her valued customers If you shop with Barbara you can always be certain that she will find exactly what suits your personality and lifestyle whether it be something casual or for a special occasion. Plumage Boutique began by stocking special occasion outfits. Outfits for weddings, parties and events that could be altered to ensure that every customer looks and feels their absolute best for that all important day. Now however, the boutique also offers a range of the latest casual wear too, so you will find it virtually impossible to leave empty handed. Plumage Boutique is in the heart of Petersfield, easily accessible and there is parking at the rear of the shop in the large Waitrose car park. No appointments are necessary so just pop in and let Plumage Boutique take the stress out of finding that perfect outfit. It is an extraordinary feeling to be confident in the knowledge that you are looking your best and others will be sure to notice this too.